Malcolm is the founder and director of Melbourne Yoga and Meditation Centre. 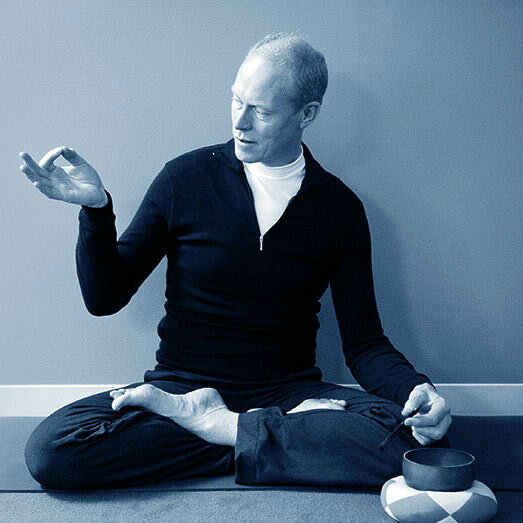 He has been studying, practising and teaching Yoga, Meditation and associated disciplines, almost full time, since 1984. As a youngster Malcolm excelled in Track & Field Athletics and Australian Football. He represented New South Wales in Teal cup AFL, and accomplished many record-breaking performances in Track and Field. From early school days an interest was cultivated in Yogaʼs physical disciplines. By the end of University Malcolm had begun studying and applying Yoga and Meditation philosophy. He then searched to find a true teacher, bypassing many physical culture trainers and yoga cult figures, finally ending up in the UK, with Khen Ratcliffe. It was here through Khen that Malcolm was introduced to Eugene Halliday, considered by many to be the greatest teacher of Yoga and Meditation’s deeper teachings in Europe. Eugene Halliday sparked Malcolm’s interest in Yoga and Meditation as a developmental practice leading into the higher Spiritual disciplines. Malcolm is acknowledged for founding a spiritually developmental yoga style named Field Yoga derived in large part from his studies and meditations with Khen Ratcliffe and particularly the teachings of Eugene Halliday. Field Yoga comprises 12 styles of traditional yoga integrated into what Malcolm teaches as the Levels of Being upon which Yogic Meditation is founded. A true Yogic approach to Meditation requires an understanding of both the Philosophical Theory, which shows where we are aiming, and also the Practice which enables the steps to attain the destination. The Melbourne Yoga & Meditation Centre has been teaching these disciplines since 2001 and now has students across the world sharing the practices. When choosing or changing your Yoga and Meditation practice teacher, it can be a lucky dip because there are so many, and they all claim something special. A few pointers might help. A personal tuition opportunity with a truly experienced teacher in many aspects of Yoga & Meditation discipline, both Eastern & Western. Yoga & Meditation fully integrated together, or as stand alone practices. Practices, not just theory, so you can apply the disciplines right-away on day one. Our service is for the serious Yoga &/or Meditation Practitioner who is seeking the best tuition. Our many clients are those who choose to have the convenience & anonymity of practicing in their home or workplace, a private venue, for a personal, advanced, and consistent experience.